In recent years, the food industry has experienced an intensification of the interconnectedness of global food systems. This has lead to changes in production and consumption patterns. These globalised supply chains have brought certain benefits, including quality and affordable food choices in Europe. However, this intensification has also raised new challenges such as inequalities between actors resulting in a lack of transparency in the chain, diminished responsibility for human rights, and other negative economic, social, and environmental externalities (European Commission, 2014). The food industry needs to move towards more sustainable and fair food supply chains —a process requiring a comprehensive and multi-dimensional approach to achieve aligned and long lasting positive outcomes. Through their strong buying power and dual role as both buyer and provider to end consumers, supermarkets exert a major influence over the global food supply chain. Although most supermarkets continue to source third party brands, their role is changing due to private label production. Increasingly, retailers do not act as mere traders but become brands in their own right, with offerings ranging from discounting to premium labels across a huge range of categories. Both ecological and social standards for these private brands vary greatly and provide little direction to consumers on responsible choice. However, with EU supermarket shelves now stocked on average with 40% private label products, this product category has the potential to positively impact the growing challenges of fairer and more sustainable consumption and production patterns. This is the leverage point of the EU-funded SUPPLY CHA!NGE project. This three year project is a collaborative EU-wide effort bringing together 29 organisations from across Europe, as well as partners from the Global South. Launched in January 2015 during the European Year of Development (EYD), it strives to find solutions to the growing challenge of reducing environmental impacts and improving working conditions along the global supply chains of store brands. 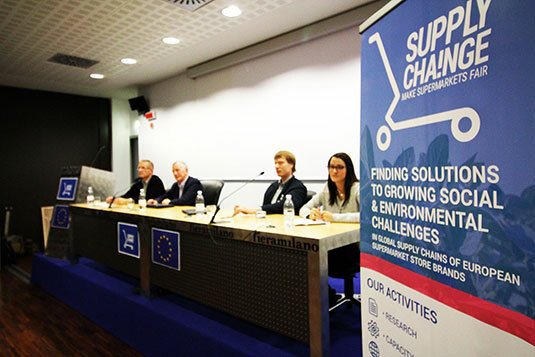 The SUPPLY CHA!NGE project is focused on improving the sustainability of production and consumption patterns of supermarket store brands, also known as ‘own brand’ or ‘private label’, for food products in European supermarkets. The overarching goal is to advance the environmental, social, and economic state of affairs in developing countries where products found on European shelves are produced. In order to achieve this, a large part of the project’s attention is directed at increasing consumer awareness regarding the interrelation between consumption and production patterns and sustainable development worldwide. One project activity is the development of a transparency platform, which will contain information about the origin and sustainability of supermarket store brands, relevant to all target groups of this project. Additionally, it will support suppliers and retailers in making the linkage between product chains and their impact on society, the environment, and the economy while also enabling them to use the platform as a strategic opportunity to improve their performance and differentiate their products from competitors in the market. How does the SUPPLY CHA!NGE consortium work? The SUPPLY CHA!NGE project was part of the European Year of Development 2015. As the United Nations adopted the Sustainable Development Goals, the EYD was launched by the European Union to engender projects that champion the Union’s commitment to international development and aid. Within the scope of our participation, the consortium engaged with and informed citizens about the impact of their lifestyles and consumer choices with a variety of activities including the European Food Vision Photo Contest and Exhibition and a European wide Day of Action. 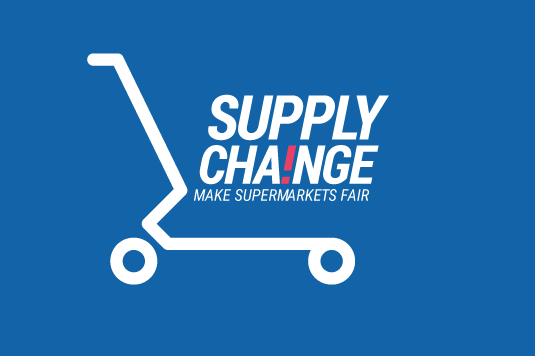 The SUPPLY CHA!NGE project initiates collaborative dialogue with retail professionals to discuss solutions for sustainable sourcing. Furthermore, we develop and conduct capacity building programmes for businesses and provide solutions for hotspots of global supply chains, as well as inviting professionals from producing countries to give first hand information on working conditions and environmental issues. The consortium collect first hand data on the production patterns of European retail supply chains. By means of independent research, the project traces certain sourcing practices of European companies to producing countries, allowing the consortium to provide recommendations on how to improve working conditions and mitigate environmental impacts. Partners have investigated production examples of tuna, pineapple, orange juice, chocolate among others. It also studies the effectiveness of ecological and social certification schemes. These studies inform a transparency database and assess the social and environmental sustainability of different supermarket store brands. As well as being part of the research steering group, the CSCP is involved in a number of project research and stakeholder engagement activities. These include supporting the development of the project’s transparency platform, development of a retailer survey, supporting retailer capacity building, coordinating retail roundtables and designing multi-actor scenario workshops to establish long-term effective practices. As the first of these engagement activities, the CSCP organised and moderated the SUPPLY CHA!NGE Business Forum held at the end of 2015. The partners of the SUPPLY CHA!NGE project acknowledge the importance of working, mobilising and contemplating the interests of all related stakeholders including: European citizens, CSO multipliers, journalists, EU decision and policy makers, and certainly —as key actors –the decision makers in the supermarket supply chains. 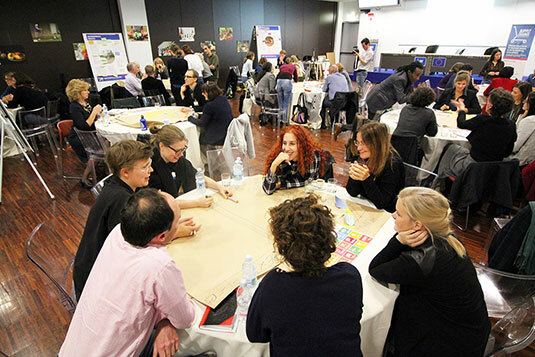 Aimed at encouraging a shift towards sustainable practices along the value chain, the Business Forum took place on the 23rd and 24th of October 2015, at the HOST exhibition in Milan, an official partner of the EXPO with around 80 participants from across Europe and contributors from the global south. The forum set out to initiate a collaborative dialogue amongst relevant stakeholders and to promote strategies for more sustainable supermarket store brands through knowledge and good practice sharing, the establishment of alliances and networks, and the identification of potential business solutions. A report on the Forum’s outcomes can be downloaded below. All partners can be found here.